A trained health worker administers a vaccine to an American child. WASHINGTON, United States—Battling the country’s worst measles outbreak in years, medical professionals say that many Americans’ fears about Western medicine and distrust of the government are making it harder to combat the disease. The current outbreak of a disease thought to be eradicated in the country 15 years ago is believed to have begun after an unvaccinated woman visited an amusement park in the coastal state of California. More than 100 people have now been infected in 14 states. Despite funding cuts that have impacted the country’s byzantine and often insufficient health care infrastructure, vaccines against measles and other diseases are widely available. 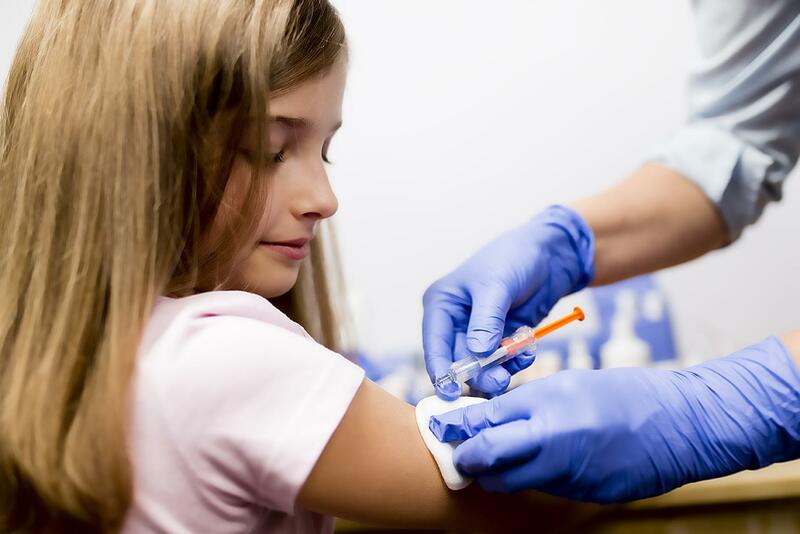 But in most regions of the country, they are optional, and many parents—under the influence of celebrities, political ideologues, and radical clerics—choose not to have their children vaccinated, due to the mistaken belief that the vaccines are dangerous. As a result, this prosperous nation now has a lower vaccination rate than Zimbabwe. As in northern Nigeria and northwestern Pakistan, some American vaccine resisters are religious extremists. But many are educated, middle-class secularists under the influence of dubious health fads. Political scientists also say that years of war, social disruption, and political scandal have left many Americans highly distrustful of authority, whether represented by the government, the media, or health workers. While the nation’s health ministry and its embattled president have urged parents to have their children vaccinated, the message has been undermined by other prominent politicians. This week two potential presidential candidates—the strongman chief executive of a northeastern industrial state and a charismatic anti-government physician from the central agricultural region—expressed support for the right of parents not to have their children vaccinated. Both are members of a party known for its resistance to Western science. Researchers caution that the entrenched beliefs of a mistrustful population could take years for medical workers to overcome, meaning that more outbreaks could occur or even spread to other countries in the region, most of which have higher vaccination rates than the United States. Cases linked to the current outbreak have already been detected in neighboring Mexico. Despite setbacks, U.S. health authorities insist they have the outbreak under control and there have not yet been calls for international assistance or military intervention.